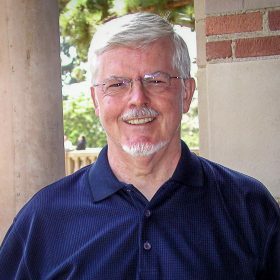 Brian Copenhaver held the Udvar-Hazy Chair as Distinguished Professor of Philosophy and History at the University of California, Los Angeles. He studies philosophy and science in late medieval and early modern Europe, focusing on Renaissance philosophy, modern Italian philosophy and the philosophical foundations for belief in magic in Western Europe. He has written about Averroism, the classical tradition, the Hermetica, historiography, Kabbalah, natural philosophy, nominalism, philosophical translation and scepticism, studying Tommaso Campanella, Symphorien Champier, Benedetto Croce, John Dewey, Marsilio Ficino, Lorenzo de’ Medici, Giovanni Pico della Mirandola, Henry More, Isaac Newton, Lorenzo Valla, Polydore Vergil, Egidio da Viterbo and others. “Egidio da Viterbo’s Book on Hebrew Letters: Christian Kabbalah in Papal Rome,” Renaissance Quarterly, 67 (2014), 1-42, with Daniel Stein Kokin. “Notes from a Nominalist in a New Incunabulum by Symphorien Champier,” in Festschrift for John Monfasani (Brill, in press), with Thomas Ward. ‘A Grand End for a Grand Narrative: Lodovico Lazzarelli, Giovanni Mercurio da Correggio and Renaissance Hermetica,’ Magic, Ritual and Witchcraft, 4 (2009), 207-23. ‘Structuralism for the Historian? Structuralist Methodology and the Magic Problem in Early Modern Europe,’ Symposium on Structuralism, ed. V. Milicic (Bellingham, 1973), pp. 211-229. ‘Giovanni Pico della Mirandola,’ ibid., pp. 728-9. ‘Hermes Trismegistus and Hermeticism,’ ibid., pp. 430-32. ‘Philosophy,’ in The Classical Tradition, ed. A. Grafton, G. Most and S. Settis (Cambridge: Harvard University Press, 2010), pp. 713-24. ‘Ten Arguments in Search of a Philosopher: Averroes and Aquinas in Ficino’s Platonic Theology,’ Vivarium, 47 (2009), 444-79. ‘Popkin non-scepticus,’ in The Legacies of Richard Popkin, ed. J. Popkin (Dordrecht: Springer, 2009), pp. 3-13. ‘Studied as an Oration: Readers of Pico’s Letters, Ancient and Modern,’ in Laus Platonici Philosophi, ed. S. Clucas (Leiden: Brill, in press), 72 pp. typescript. ‘Maimonides, Abulafia and Pico: A Secret Aristotle for the Renaissance,’ Rinascimento, 46 (2nd ser., 2007), 23-51. ‘How To Do Magic, And Why: Philosophical Prescriptions,’ The Cambridge Companion to Renaissance Philosophy, ed. James Hankins (Cambridge: Cambridge University Press, 2007), pp. 137-70. ‘The Strange Italian Voyage of Thomas Reid,’ British Journal of the History of Philosophy, 14 (2006), 601-26; with Rebecca Copenhaver. ‘Eugenio Garin,’ in Renaissance News and Notes (http://www.rsa.org/rnn.htm), February, 2005; reprinted in a shorter form in the London Times, 4 pp. typescript. ‘Valla Our Contemporary: Philosophy and Philology,’ Journal of the History of Ideas, 66 (2005), 507-25. ‘How Not To Lose a Renaissance,’ Rinascimento, 44 (2nd ser., 2004), 443-58. ‘Chi scrisse l’Orazione di Pico?’ La Magia nell’Europa moderna: Tra sapienza e filosofia naturale: Atti del convegno (Firenze, 2-4 ottobre 2003), (Florence: Olschki, 2007), pp. 79-105. German version of 45: ‘Magie und die Würde des Menschen: Pico’s Oratio vor und nach Kant,’ appears in Scientiae et artes: Die Vermittlung alten und neuen Wissens in Literatur, Kunst und Musik, ed. Barbara Mahlmann-Bauer (Wiesbaden: Harassowitz, 2004), I, 65-97. ‘Magic and the Dignity of Man: De-Kanting Pico’s Oration,’ in The Italian Renaissance in the Twentieth Century, ‘Acts of an International Conference, Florence, Villa I Tatti, June 9-11, 1999, ed. A.J. Griego et al.’ (Florence: Olschki, 2002), pp. 295-320. ‘The Secret of Pico’s Oration: Cabala and Renaissance Philosophy,’ Midwest Studies in Philosophy, 26 (2002), 56-81. ‘A Show of Hands,’ in Writing on Hands: Memory and Knowledge in Early Modern Europe, ed. C.R. Sherman and P.R. Lukehart, Exhibition at the Trout Gallery, Dickinson College and the Folger Shakespeare Library (Seattle: University of Washington Press, 2000), pp. 46-59, 210-213, 222-8. ‘D.P. Walker and the Theory of Magic in the Renaissance,’ in Walker, Spiritual and Demonic Magic from Ficino to Campanella (University Park: Pennsylvania State University Press, 2000), pp. viii-xi. ‘Number, Shape and Meaning in Pico’s Christian Cabala: The Upright Tsade, the Closed Mem and the Gaping Jaws of Azazel,’ in Natural Particulars: Nature and the Disciplines in Renaissance Europe, ed. A. Grafton and N. Siraisi (Cambridge: MIT Press, 2000), pp. 25-76. ‘The Slums of Cosmopolis: A Renaissance in the History of Philosophy?’ in Everything Connects: A Festschrift for Richard Popkin, ed. J. Force and D. Katz (Leiden: Brill, 1999), pp. 63-86. ‘The Renaissance,’ in The Columbia History of Western Philosophy, ed. R. Popkin (New York: Columbia University Press, 1998), pp. 279-328; with Michael Allen and John Monfasani. ‘The Occultist Tradition and its Critics in Seventeenth Century Philosophy,’ in the Cambridge History of Seventeenth Century Philosophy, ed. M. Ayers and D. Garber (Cambridge: Cambridge University Press, 1998), pp. 454-512. ‘Tommaso Campanella: The Monarchy of the Messiah, Chapters 14-15,’ in Cambridge Translations of Renaissance Philosophical Texts, ed. Jill Kraye (Cambridge: Cambridge University Press, 1996). ‘Lorenzo de’ Medici, Marsilio Ficino and the Domesticated Hermes,’ in Lorenzo il Magnifico e il suo mondo: Atti di Convegno, ed. G.C. Garfagnini (Florence: Istituto Nazionale di Studi sul Rinascimento, 1994), pp. 225-57. ‘Omnipotence,’ ‘Omniscience,’ ‘Omnipresence,’ ‘Cabala,’ ‘Names of God,’ ‘Hebrew Alphabet,’ in Dictionary of the Biblical Tradition in English Literature , ed. D.L. Jeffrey (Grand Rapids: Eerdmans, 1993), 15 coll. ‘Hermes Theologus: The Sienese Mercury and Ficino’s Hermetic Demons,’ in Humanity and Divinity in Renaissance and Reformation: Essays in Honor of Charles Trinkaus, ed. John O’Malley et al. (Leiden: Brill, 1993), pp. 149-82. ‘The Power of Magic and the Poverty of Erudition: Magic in the Universal Library,’ in Das Buch als magisches und als Repräsentationsobjekt, ed. Peter Ganz (Wiesbaden: Harrassowitz, 1992), pp. 159-79. ‘Did Science Have a Renaissance?’ Isis, 83 (1992), 387-407. ‘A Tale of Two Fishes: Magical Objects in Natural History from Antiquity through the Scientific Revolution,’ Journal of the History of Ideas, 52 (1991), 373-98. ‘Natural Magic, Hermetism and Occultism in Early Modern Science,’ in Reappraisals of the Scientific Revolution, ed. D. Lindberg and R. Westman (Cambridge: Cambridge University Press, 1990), pp. 261-301. Unpublished essay review of Desmond Clarke, Occult Powers and Hypotheses: Cartesian Natural Philosophy Under Louis XIV (Oxford: Clarendon Press, 1989), 9 pp. typescript. ‘Hermes Trismegistus, Proclus and the Question of a Philosophy of Magic in the Renaissance,’ in Hermeticism and the Renaissance: Intellectual History and the Occult in Early Modern Europe, ed. I. Merkel and A. Debus (Washington, D.C.: Folger Books, 1988), pp. 79-111. ‘The Wrath of Achilles and the Uses of Vicarious Experience,’ The Humanities and Education: Conference Proceedings, ed. L. Weber and D. Beck (Rochester, Mich.: 1987), pp. 5-11. ‘Science and Philosophy in Early Modern Europe: The Historiographical Significance of the Work of Charles B. Schmitt,’ Annals of Science, 44 (1987), 507-17. ‘Astrology and Magic,’ in the Cambridge History of Renaissance Philosophy, ed. Charles Schmitt and Quentin Skinner (Cambridge: Cambridge University Press, 1987), pp. 264-300. ‘Translation, Terminology and Style in Philosophical Discourse,’ in the Cambridge History of Renaissance Philosophy, ed. Charles Schmitt and Quentin Skinner (Cambridge: Cambridge University Press, 1987), pp. 77-110. ‘Iamblichus, Synesius and the Chaldaean Oracles in Marsilio Ficino’s De vita libri tres: Hermetic Magic or Neoplatonic Magic,’ in Supplementum Festivum: Studies in Honor of Paul Oskar Kristeller, ed. James Hankins et al. (Binghamton: MRTS, 1987), pp. 441-55. ‘Polydore Vergil,’ in Contemporaries of Erasmus, III, 397-9. ‘Symphorien Champier,’ in Contemporaries of Erasmus: A Biographical Register of the Renaissance and Reformation, ed. P.G. Bietenholz (Toronto: University of Toronto Press,1986), I, pp. 291-2. ‘Renaissance Magic and Neoplatonic Philosophy: Ennead 4.3-5 in Ficino’s De vita coelitus comparanda,’ in Marsilio Ficino e il ritorno di Platone: Studi e documenti, ed. G. Garfagnini (Florence: Olschki, 1986), pp. 351-69. ‘Scholastic Philosophy and Renaissance Magic in the De vita of Marsilio Ficino,’ Renaissance Quarterly, 37 (1984), 523-54. ‘Jewish Theologies of Space in the Scientific Revolution: Henry More, Joseph Raphson, Isaac Newton and their Predecessors,’ Annals of Science, 37 (1980), 489-548. ‘Ars Moriendi,’ Encyclopedia of Bioethics (New York, 1978), I, pp. 253-5. ‘The Historiography of Discovery in the Renaissance: Polydore Vergil’s De inventoribus rerum I-III,’ Journal of the Warburg and Courtauld Institutes, 41 (1978), 192-214. Essay review of R.S. Westman and J.E. McGuire, Hermeticism and the Scientific Revolution: Papers Read at a Clark Library Seminar, March 9, 1974 (Los Angeles: Clark Library, UCLA, 1977) in Annals of Science, 35 (1978), 527-31. ‘Lefèvre d’Étaples, Symphorien Champier and the Secret Names of God,’ Journal of the Warburg and Courtauld Institutes, 40 (1977), 189-211. “Lorenzo Valla, Scourge of Scholasticism: Nature, Power and Modality in the Dialectical Disputations,” Rinascimento, 51, 2011, 3-26. ‘“The Stowte Assaillinge of Englande”: A Letter of Nicholas Sanders Addressed to Antonio Graziani,’ Bibliographical Contributions, I (1969), 11-35. Arthur Field, The Origins of the Platonic Academy of Florence, English Historical Review, 1992. Ioan Couliano, Eros and Magic in the Renaissance, ibid. Michael Allen, Icastes: Marsilio Ficino’s Interpretation of Plato’s Sophist (Five Studies and a Critical Edition with Translation), Renaissance Quarterly, 1992. Modernity, Journal of the History of Philosophy, 1990. Michael Nostradamus, Lettres inédites, ed. Jean Dupèbe, Renaissance Quarterly, 1986. Jerome Friedman, The Most Ancient Testimony: Sixteenth Century Christian-Hebraica in the Age of Renaissance Nostalgia, Renaissance Quarterly, 1984. Les Alchimistes Grecs. Vol. I: Papyrus de Leyde, Papyrus de Stockholm, Fragmentes de Recettes, Isis, 1983. A.E. Jones, The Trial of Joan of Arc, Church History, 1983. Therèse Charmasson, Recherches sur une technique divinatoire: La Géomancie dans l’occident médiéval, Isis, 1982. Michael Hunter, Science and Society in Restoration England, History of Universities, 1982. Brian Easlea, Witchcraft, Magic and the New Philosophy, American Historical Review, 1982. Frances Yates, The Occult Philosophy in the Elizabethan Age, Annals of Science, 1981. Dorothy Koenigsberger, Renaissance Man and Creative Thinking: A History of Concepts of Harmony, Isis, 1981. Peter Baumgart and Notker Hammerstein, Beiträge zu Problemen deutscher Universitätsgrundungen der frühen Neuzeit, History of Universities, 1981. Bernard Capp, English Almanacs, 1500-1800: Astrology and the Popular Press, Church History, 1980. Edward Peters, The Magician, the Witch and the Law, Journal of the History of Philosophy, 1980. Luigi Parinetto, Magia e ragione: Una polemica sulle streghe in Italia intorno al 1750, Journal of the History of Philosophy, 1979. Giancarlo Zanier, La Medicina astrologica e la sua teoria, and Ricerche sulla diffusione e fortuna del “De incantationibus” di Pomponazzi, Annals of Science, 1980. Sidney Anglo, ed., The Damned Art, American Historical Review, 1978. Madison et al., Essays on the Life and Work of Thomas Linacre c. 1460 1524, Isis, 1978. Luigi Aurigemma, Le Signe zodiacal du scorpion, American Historical Review, 1977. Sepp Domandl, ed., Paracelsus, Werk und Wirkung: Festgabe für Kurt Goldhammer, Annals of Science, 1977. Norman Cohn, Europe’s Inner Demons: An Inquiry Inspired by the Great Witch Hunt, Church History, 1976. S.L. Verheus, Zeugnis und Gericht: Kirchengeschichtliche Betrachtungen bei Sebastian Franck und Matthias Flaccius, Renaissance Quarterly, 1973. Robert Galbreath, The Occult: Studies and Evaluations, Church History, 1973. Keith Thomas, Religion and the Decline of Magic, Church History, 1972. Giovanni Pico della Mirandola, Oration and 900 Conclusions; with Michael Allen and Calvin Normore, I Tatti Renaissance Library (ITRL): the first edition of these texts to present a through account of Pico’s sources and show his deep commitment to Cabala. Editor, History of Philosophy Quarterly.